My Yule tree is decorated largely with natural objects such as shells and pinecones, and replicas of such things as moons, suns and stars. Some of my favorite stars are rustic – made from twigs or, in this case, cinnamon sticks. 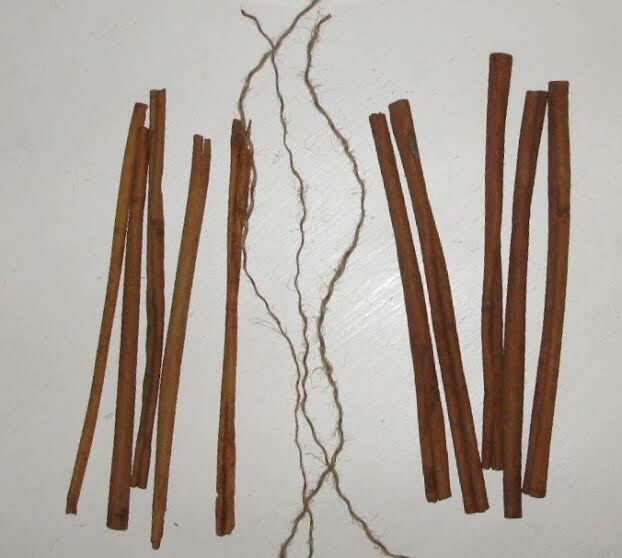 Find five cinnamon sticks that are approximately the same length and thickness. Twigs or wooden chopsticks would also work. 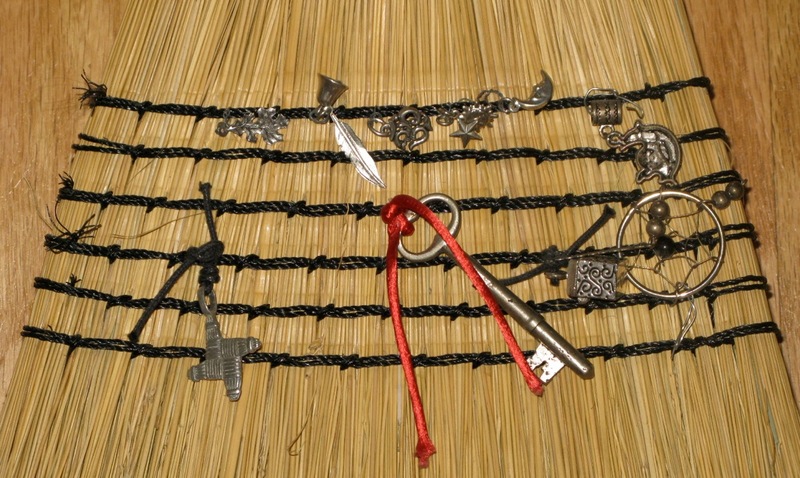 While I used threads separated from burlap twine to bind them, yarn, ribbon, wire and hot glue will also work. Place the pieces in the shape of a star so you can see the angle formed by each point. Begin tying the sticks together until you’ve worked your way around the star. If it is unstable, tie off where pieces cross one another. Leaving extra string to form a loop will make it easy to hang not just on a tree, but anywhere you want a bit of nature any time of year. They can be painted, decorated with flowers or feathers, or wrapped with yarn. If you are looking for a tool for a special ritual or an easy gift, try decorating match boxes. I had a partial deck of miniature tarot cards. Cutting off the white borders with a paper cutter made them the right size for putting on boxes of matches. Some decks, such as the Rider-Waite, are just about the perfect size for the large box of kitchen matches, requiring only a very small portion of one edge to be removed. I used spray adhesive to affix them, but just about any glue will do. By choosing cards to fit someone’s personality, astrology or goals, you can make a thoughtful gift set that can be a given on any occasion. Selecting cards to represent the quarters can make lighting each of the candles extra special. The same is true for selecting cards to align with the intention of the ritual at which they will be used. Seek out partial decks or ones you no longer use, and buy matches from a dollar store for the biggest bargain. 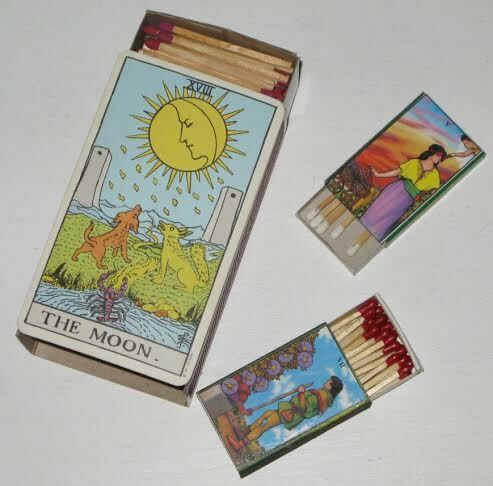 The match boxes can also be covered with photographs or images clipped from magazines.